OPTIONS: See matching earrings. 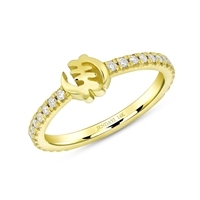 Available in white, yellow, & rose gold, 18k & platinum. Payment plans available, including recycling your old gold. Please call for more information. Custom orders take 5-7 business days . Rush orders available. Please call for more information. 14k White Gold Cowry Shell Ring. Excellent craftsmanship. Total Diamond Weight .33 carats. Right side of Cowry shell has 5 diamonds set in gorgeous sandblast finish. with One of our customers favorites, a must see. Available in two-tone as well. Your choice of Yellow, White & Rose Gold. Engraving included. Shell Width: 12mm. Band Width: 5mm. Custom orders take 2-4 weeks. Rush orders available. Please call for more information. 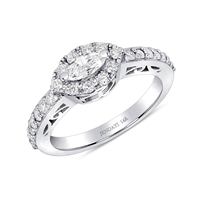 OPTIONS: Available in platinum, 14k & 18k yellow rose or white. You can even change the carat or color of enamel. Custom orders take 7-10 business days . Rush orders available. Please call for more information. This is a gorgeous "edible" ring with antique amber cabochon housed in 14k yellow gold. Handmade. Available sizes 5-9. OPTIONS: Payment plans available, including recycling your old gold. Please call for more information. Custom orders take 7-10 business days . Rush orders available. Please call for more information. The introduction of our first culturally inspired stackable rings! Wear it for your anniversary or simply everyday pride. Mix colors and metals, shapes, stones and lines. When it comes to stackable's you make the rules. The introduction of our first culturally inspired stackable ring! 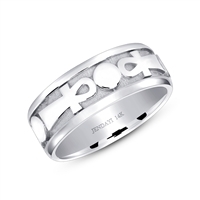 Wear it for your anniversary or simply everyday pride. Mix colors and metals, shapes, stones and lines. When it comes to stackable's you make the rules. The newest addition of our Ankh Eternity Wedding Bands. With its flat sides, this ring is also perfectly worn as a stackable.